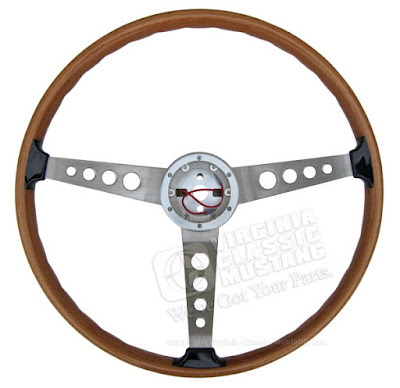 We now have a new center cap for our real wood Shelby style steering wheels. 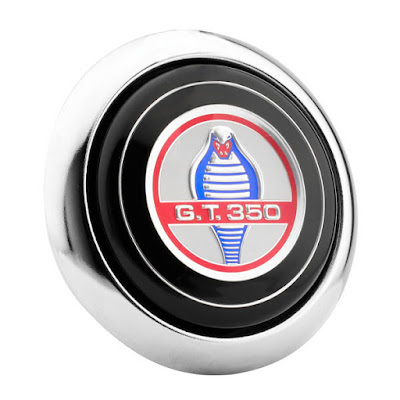 This new cap joins our line up of other GT350, GT500, and Mustang caps. This particular cap features a really cool, stamped aluminum, red, white and blue GT350 Cobra emblem under the lens. It's part number IN-7397 - Click here for more. It fits our super nice real wood steering wheel that is a very, very close match to the original wood steering wheel used on all '67 Shelbys and the over-the-counter wheel for '66 Shelbys. Of course, our wheel can be installed on any '65-73 Mustang or Shelby with your choice of center! Our steering wheel part number is IN-7391 - Click here for more. Real wood Shelby Steering Wheel. 1964 1/2 Mustang Coupe For Sale - Original Owner! 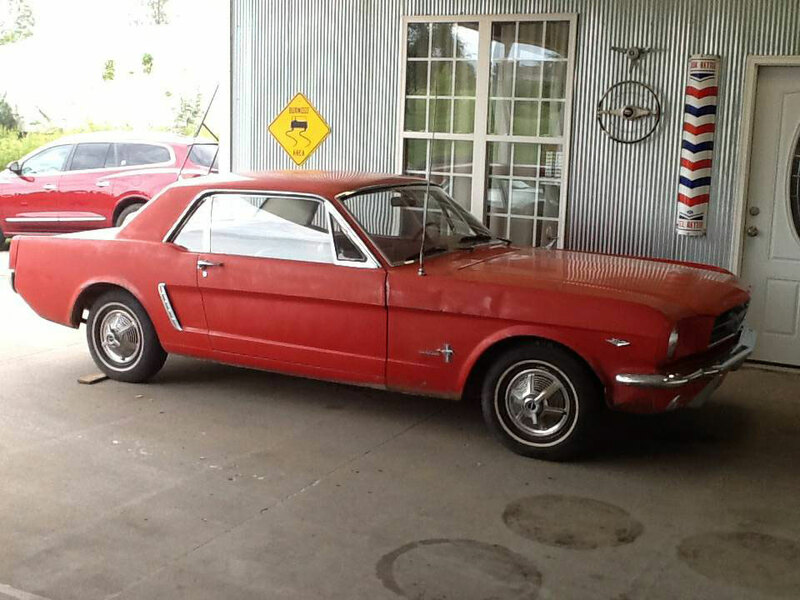 1964 1/2 Mustang Coupe for sale. Original Owner! Here is a Mustang for sale with some really cool history. It's a super early March 1964 built '64 ½ Mustang Coupe. 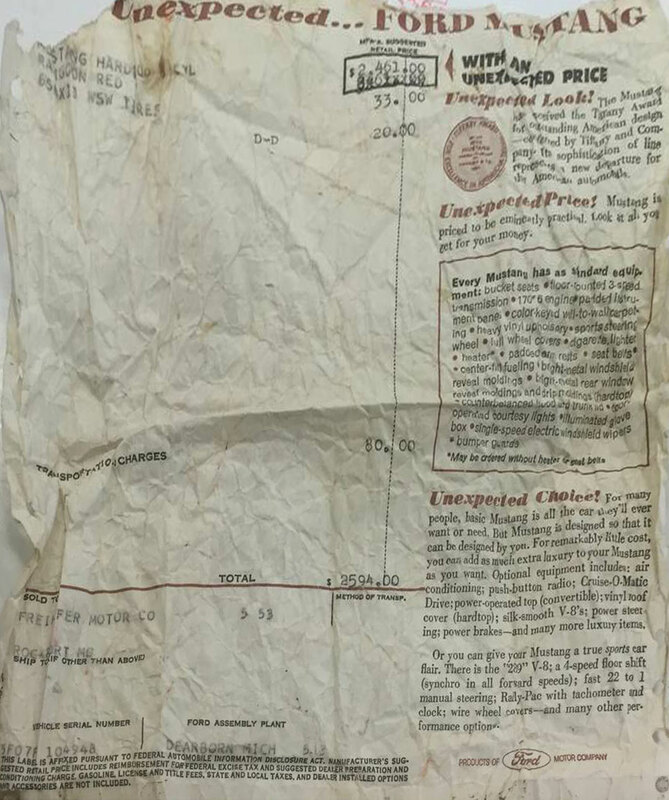 The original owner's son is selling it. It looks like it needs a bit of work, but it appears as if it hasn't been "messed with" over the last 50 plus years. 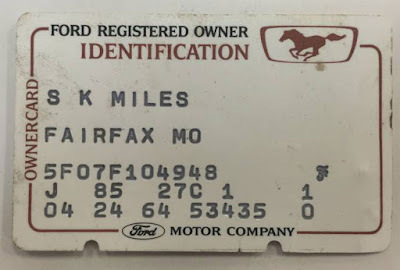 The original window sticker and even the original owner card is included. 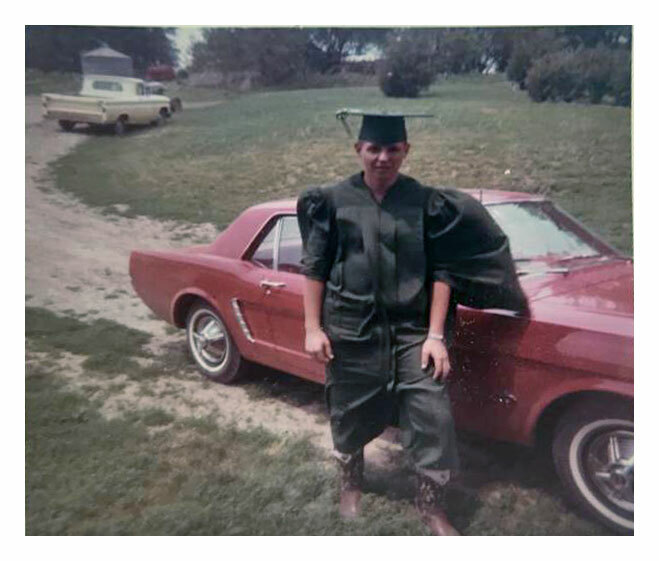 This is a rare opportunity to own a very early Mustang! 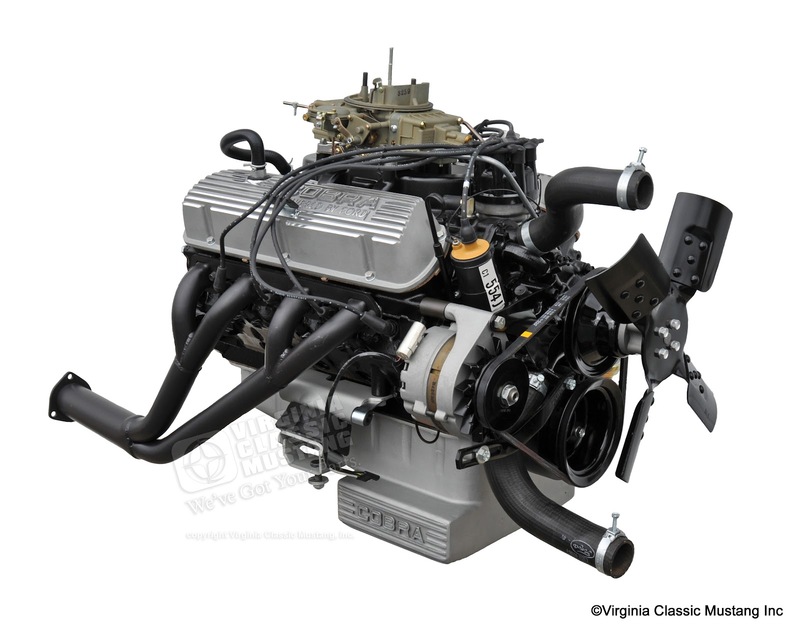 Just the Details...1966 Shelby GT350 - The 289 HiPo Engine is Ready to Go! Detailed engine from 1966 Shelby Mustang GT350 SFM6S033. 289 High Performance. Time is flying by!! 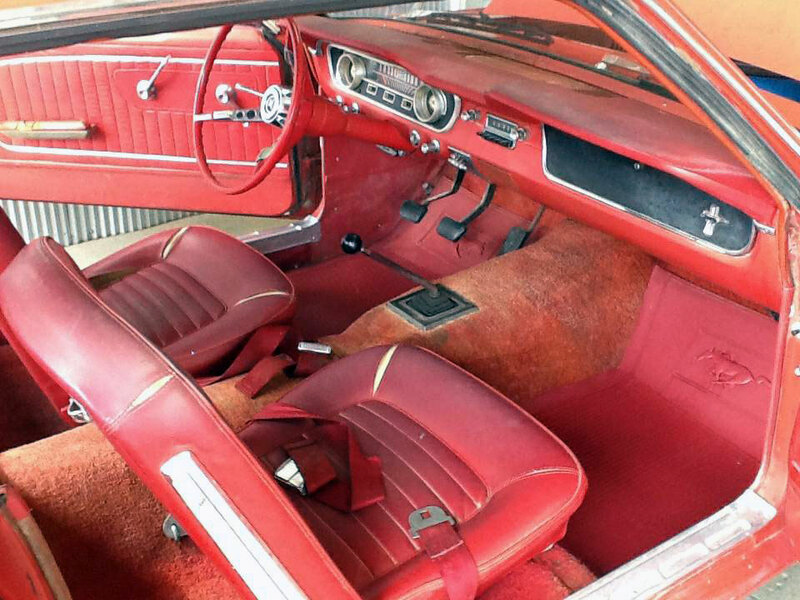 It's been 4 months since our last Blog Post update on our 1966 Carryover Shelby restoration. If you missed that post, please click here to see it. Expect to see more frequent posts soon, because Jeremy at Maple Hill Restoration is working hard on getting the Shelby together. While a lot of work still remains, lots of research and sub-assembly restoration have been completed. 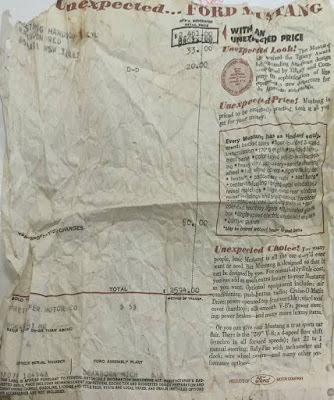 It's always great to get to this point in a restoration when you can actually see the results of all of the hard work! The engine will be installed very soon, and that brings us to our Blog Post today. 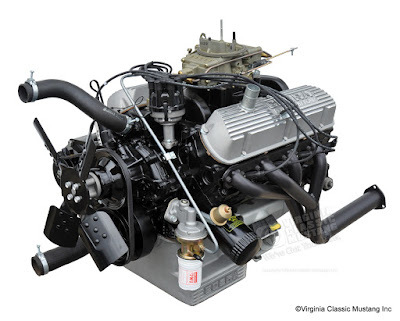 The engine was assembled with all components for our photo shoot. It's the original 289 HiPo from the Shelby with the Ford VIN stamped in the block. We will share the story soon, but the block was reunited with the Shelby soon after we purchased the car way back in 1999. 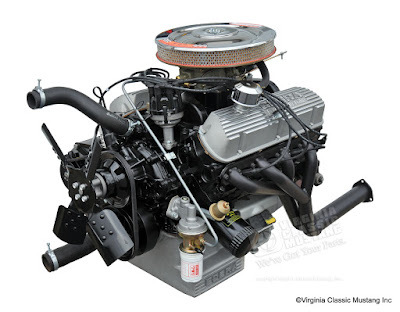 The engines in the GT350s featured the unique items that you see pictured here such as the Cobra Buddy Bar aluminum valve covers, the Cobra lettered finned aluminum oil pan, Tri-Y Headers, 715 cfm Holley carburetor, and the aluminum Cobra intake manifold. 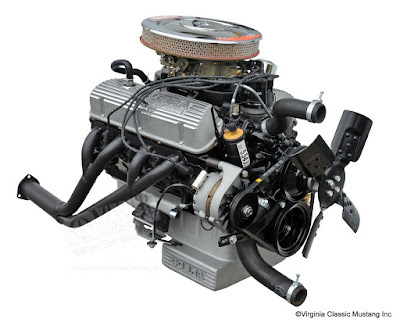 Of course, the engine started as a 289 High Performance model, so the larger harmonic balancer, dual point distributor, solid lifters, HiPo connecting rods, 4 blade fan, and special HiPo motor mounts were also included. We also have a shot of the restored T-10M Borg Warner 4 speed transmission. 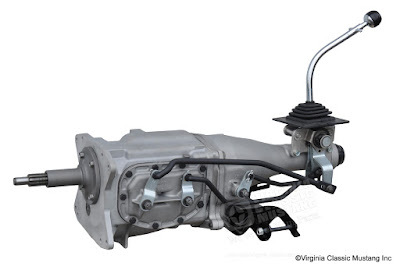 This close ratio aluminum case transmission was used throughout 1965 and early 1966 GT350 production. These transmissions did not get stamped with the car VIN, but they were date coded. Later Blog Posts will feature many of these details. Be sure to click on the pictures for larger versions! Detailed 4 speed transmission from 1966 Shelby Mustang GT350 SFM6S033. 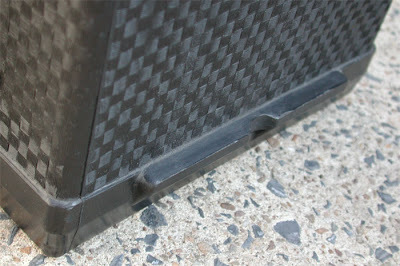 Aluminum case close ratio T-10M with the "Sebring Gear" set. Unless you purchase one of our exact reproduction Autolite Batteriesfor your Mustang, the replacement battery will not have the "ledge" on the lower side of the case as shown . This "ledge" is necessary to secure your battery using the original tray and holddown clamp. If you don't have the proper battery; the original clamp does not secure it properly, and it simply is not very safe. Our special 65-66 Battery Tray Kit has been a very popular part for good reason. 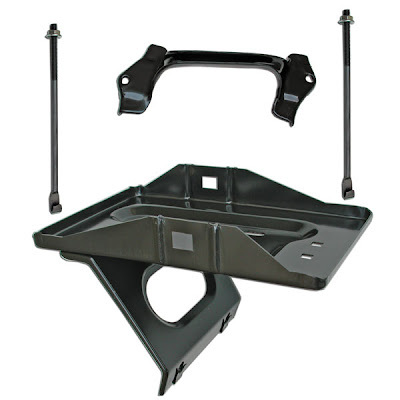 It consists of a special battery tray that accepts the 67-70 style top holddown and bolts. 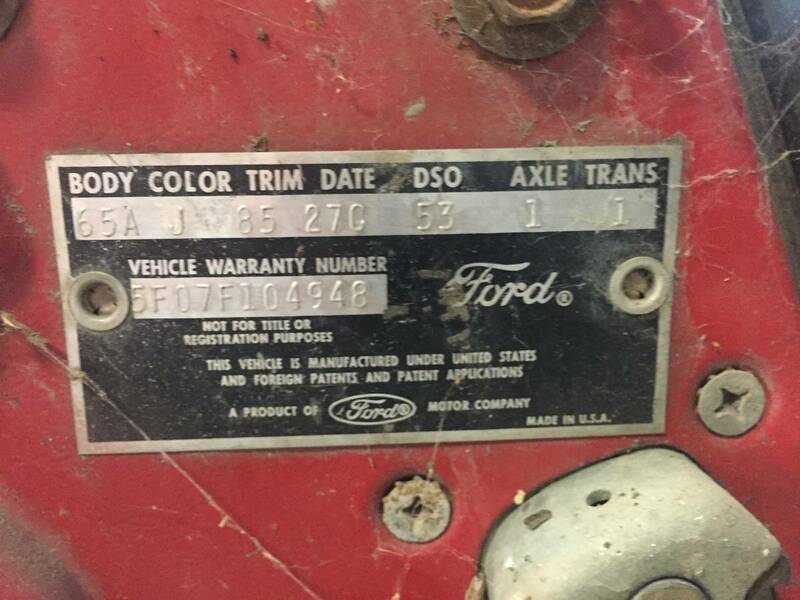 I can remember many, many years ago welding tabs on an original tray in a 1966 GT350 Shelby just so we could use this type of set up. Now it is much easier. This is really a great idea and super product. Our part number is EG2602.